It's hard for me to imagine anything much better than books and bicycles. Here they are combined in a wonderful and practical manner. The bookends are metal, handmade, and a rust color. 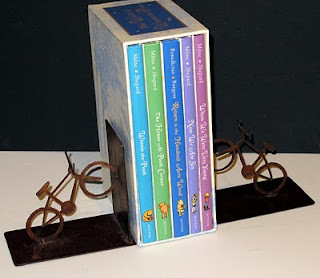 Very nice shape and a great gift for the biblio-cyclist.